Musa velutina is a dwarf banana that grows between 6 and 9 feet tall. 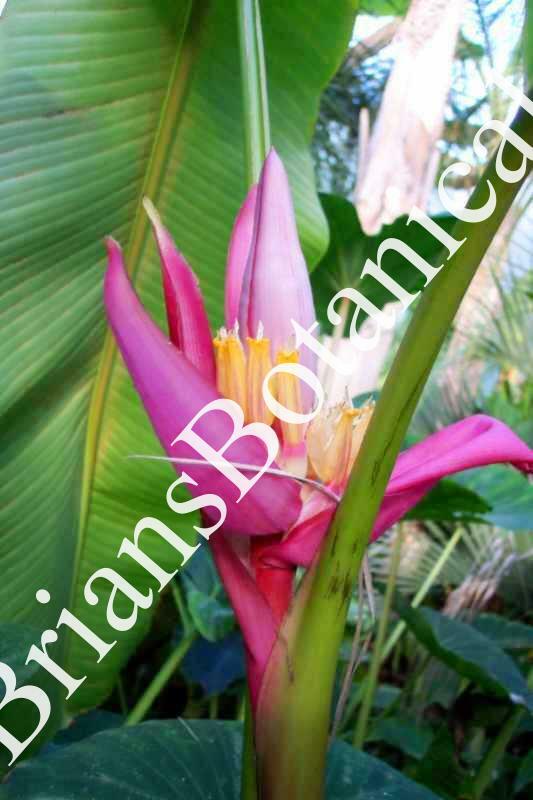 Plants produce a bright pink flower yearly with small velvet covered bananas. One of the main reasons we grow this plant is the fact that it is hardy similar to basjoo. I cut the plants down to 1 foot and mulch heavily each fall and have over wintered the plant for over 9 years. A great addition to any northern tropical paradise. 7-10 Zone 6 when mulched up trunks.